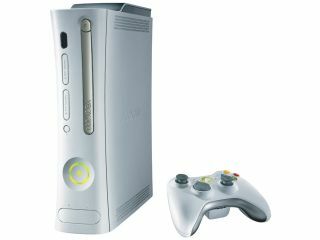 Xbox 360 Falcon debuts in the wild? Microsoft looks as though it has finally released a new version of the Xbox 360 into the wild. Code named 'Falcon', the model sports a new energy-efficient 65nm processor which should eventually be included in all Xbox 360s. CVG says people on Xbox forums have reported that the Falcon Xbox 360 is already in the wild, with the 65nm chips apparently making their debut inside the Halo 3 Special Edition version of the console. To date, all Xbox 360s sold by Microsoft have been powered by processors and graphics chips based on 90nm production technology. Unfortunately, the console has suffered widely-publicised overheating problems. Typically, these manifest in the form of a hardware failure and a red warning light, popularly known as the "red ring of death". The hardware failures have hit Microsoft hard. In a move designed to placate customers and boost confidence, Microsoft was recently forced to offer an extended three-year warranty for all Xbox 360s. The decision contributed to a multi-billion dollar loss for Microsoft's gaming division in its most recent financial year results. Still, as well as offering improved reliability and cooler operating temperature, 65nm Xbox 360s will deliver further benefits. It's thought the main chassis will be a dead ringer for the current console. However, the reduced power consumption of the new chips will allow a smaller, lower-rated power supply unit (PSU). Existing 360s are fed by an enormous 200W external power brick. For Microsoft, the smaller, cheaper chips will also help improve manufacturing yields and reduce costs.